A device with the model number SM-G970U has shown up on Geekbench. Despite its decent specs (Android 9.0, 6GB of RAM and the Snapdragon 855 under its own codename msmnile), it has posted a score of less than 2000 in single-core terms. 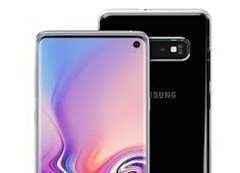 The speculation revolving around this new listing points to an S10 Lite on un-optimized software. The Galaxy S10 Lite is one of several potential new variants in the next Samsung flagship series. It may be released along with its siblings at an Unpacked event in February. It is likely to be powered by either the Exynos 9820 or the Snapdragon 855 chipset. as well as at least 4GB of RAM, depending on the market in which it is to be sold. This rumor may have been given more weight today (January 12, 2019) as a device that may correspond to these specs has turned up on Geekbench 4's database. It was listed as the SM-G970U, which fits in with Samsung's naming scheme for S-line phones. Its details indicates that it has a total of 6GB in RAM, and runs Android 9 (Pie). Its processor is named as the msmnile, a codename popularly associated with the Snapdragon 855. It may be the Lite variant as earlier leaks have suggested as much as 12GB of RAM for the other, more high-end SKUs of this series. However, despite these impressive specs, the device only posted 1986 in single-core scores and 6266 in multi-core terms. Scores of this level are what we have come to expect from the 855's predecessor (the SD 845). On the other hand, they could be explained by the OS run by the new putative Samsung device: it may have been in a preliminary form at the time of its testing. Analogous results from a variant of the same device powered by the Exynos processor would be of equal interest at this point.